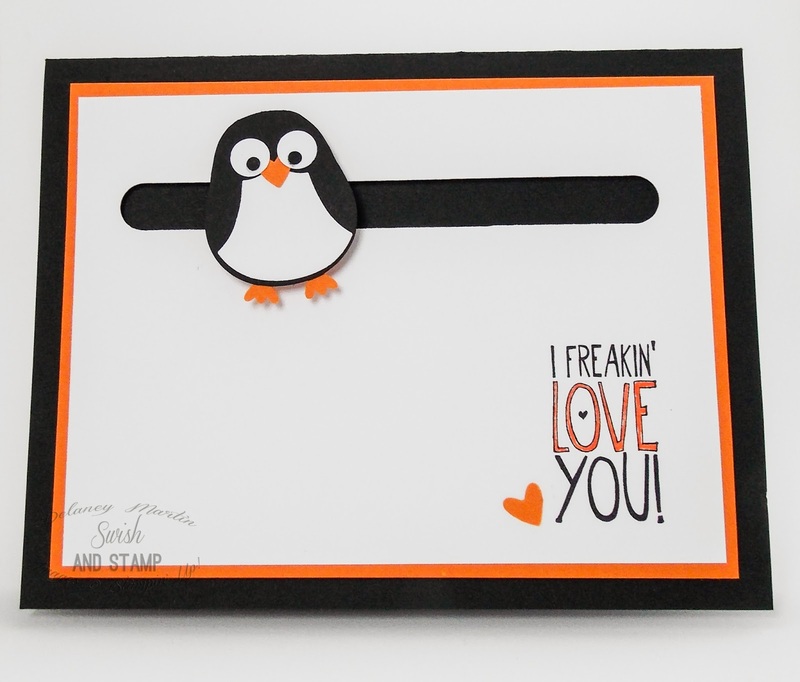 Swish and Stamp: I freakin' love you! I tried to get a few good pictures so you can see that he spins! 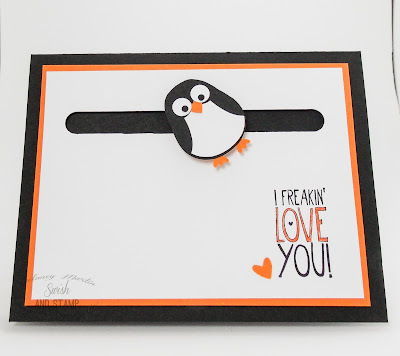 I'm seriously in love with this little penguin and the card turned out way better than I thought it was going to. 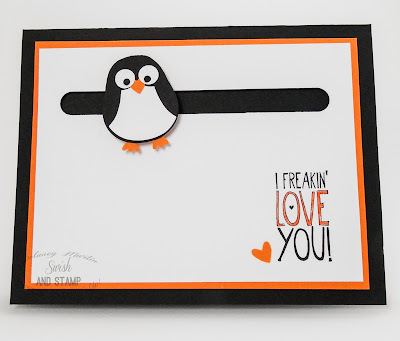 If you want to purchase any of the supplies used to make this card or anything else from Stampin' Up! you can shop 24/7 in my online store, HERE. 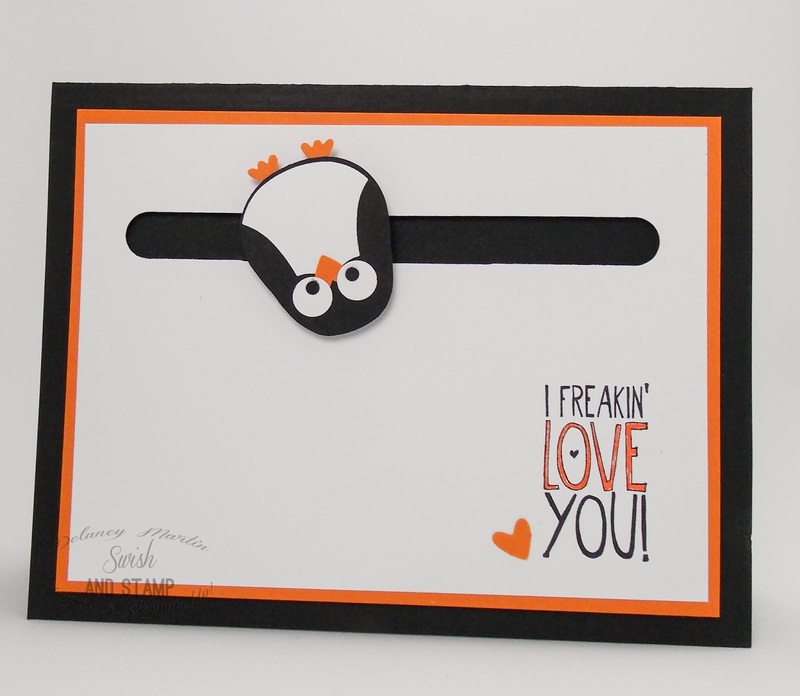 Super cute card - love the owl punch penguins! Headed over to Pinterest to pin it.